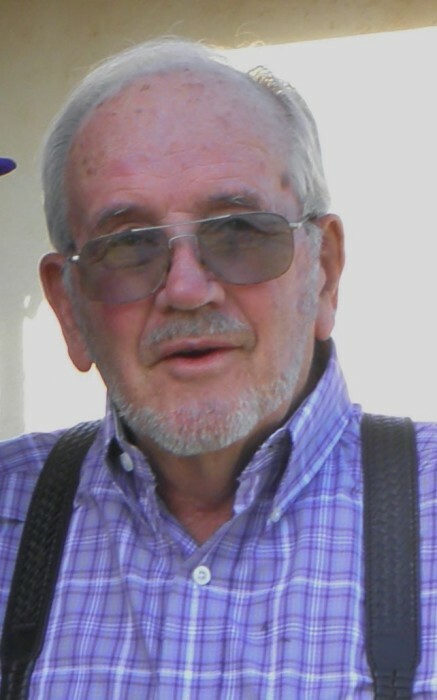 Bill Head, 85, of Canyon passed away on Friday, March 29, 2019. Services will be at 2:00 P.M. on Thursday, April 4, 2019 at Brooks Chapel. Burial will follow in Dreamland Cemetery. The family will receive friends from 6:00 to 8:00 P.M. on Wednesday, April 3, 2019 at Brooks Chapel. Bill was born June 21, 1933 in Delhi, Oklahoma. He passed in peace with family by his side on March 29, 2019 in Coppell, Texas and promptly embarked upon his long-awaited journey home to Canyon, Texas. Arrangements are by Brooks Funeral Directors. If there was a single, overarching principle that guided Bill’s long and rich life, it was service. After graduating from Delhi High School, he enlisted in the United States Air Force and proudly served from 1954 to 1962. He fondly remembered his time in Korea and received several commendations based upon his service. The pride he took in his work carried over into his roles as beloved husband, dad, and grandad. Of all the people he touched, he will be missed most by his children and grandchildren who know how blessed they have been to call him dad and papaw. He led with an example of hard work and the right values. Without exception, he put family first, gave more than he took, and was present for it all. He created a life with just the right balance between simplicity and adventure. Bill was known for his long and entertaining stories. Even for those who knew him well, he managed to sneak in a new one every now and then. If you ever needed a laugh, he did not disappoint. Described as an encourager, mentor, and friend, his absence will be felt by all who knew him. He is preceded in death by wife Jeanette Head; son, Derek Reno Head; son-in-law, Cory Fancher; parents Reno and Willie Maud Head; brother Kenneth Head (Frances); sisters Bertha Faye Bonifield (Clell), Mabel Ford (Marion), Avie Crites (Clarence), and Willie Nell Ligon. He is survived by daughters, Susan Erline White, Tommi Head, and Traci Head Fancher; son, BJ Head (Julie); grandchildren, Kyleigh Price (Shane), Jack, Luke, & Sloane Fancher, Brooks & Bennett Head; and many loving nieces and nephews.